The Monolith is the newest addition to the Formulate range. 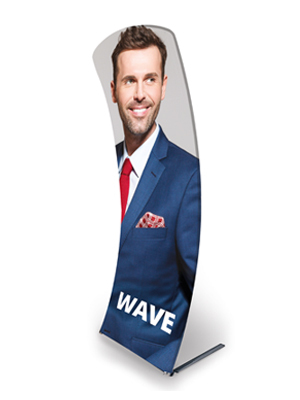 This free-standing tension banner is manufactured from strong, yet lightweight 30mm diameter aluminium tubing and dressed in a washable, zipped tension fabric. 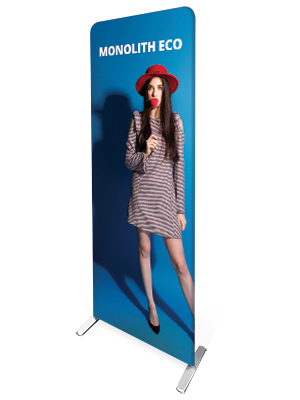 The Formulate Monolith boasts an impressive six widths and is mounted on a sturdy metal base. Make an impact with the new, towering Formulate Wave. 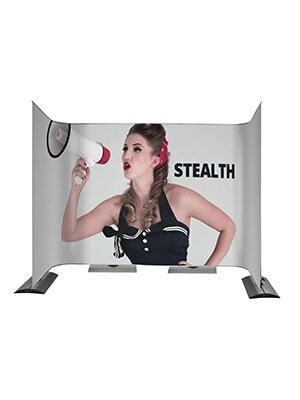 This imposing tension banner, dressed in a washable, zipped tension fabric is sure to help you stand out from the crowd. 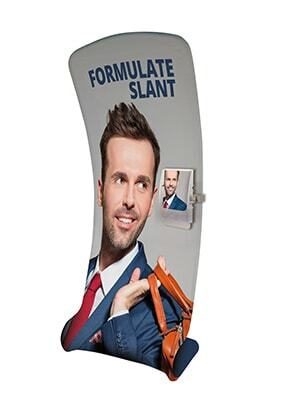 With an impressive height of 2.38m, it is a perfect alternative to traditional banner stands. 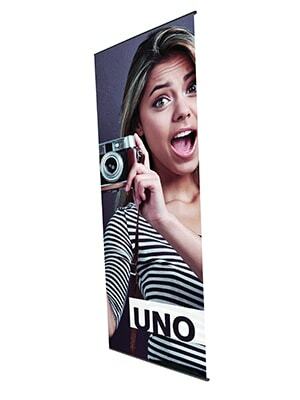 Uno is a tension styled banner available in 800mm and 1000mm and up to 2.9m high The unit is very versatile and will accept Polyester, PVC or silicone edge textile fabric Create larger back walls by joining straight units together using magnets that fit into each rail plus mag bars and mag tape. 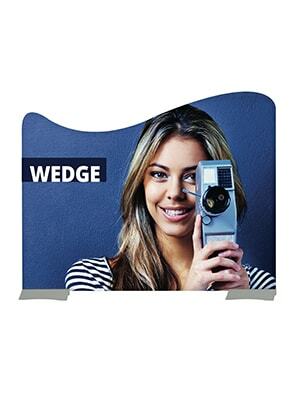 You can also create one large fabric graphic panel across two units. The new Formulate Monolith Eco has a 25mm Diameter anodised aluminium tube frame with Powder Coated steel feet, which attach with a screw and washer for extra stability. 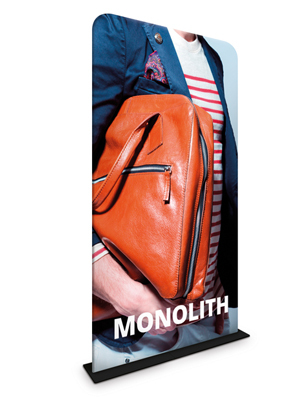 The Monolith Eco is supplied in a carry bag and the light weight aluminium frame is less than the standard Monolith making it extremely easy to transport. 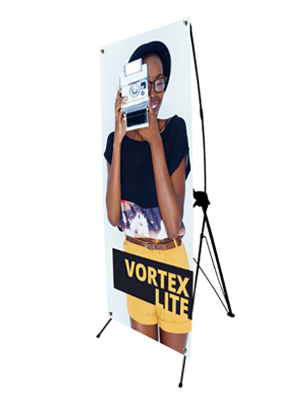 A simple yet effective free standing tension banner. 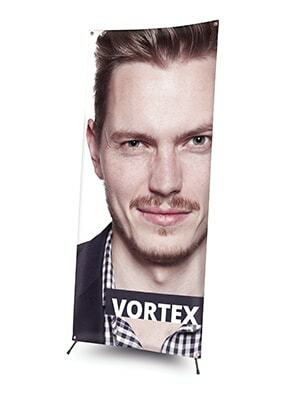 The Vortex frame is quick to assemble and graphics are housed separately to the base unit, so are easy to change and refit. 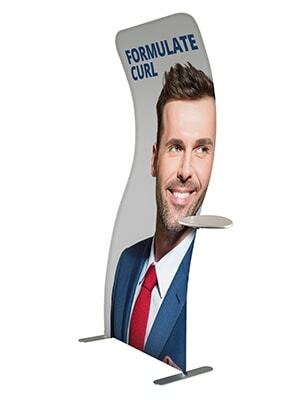 Beautifully curved, the Formulate Curl is a seductive alternative to a banner. The gentle oscillation imitates the curves found on the Formulate Serpentine and Formulate Serpentine Slope making them ideal counterparts to the Formulate Curl. 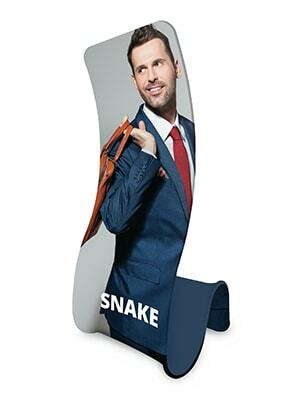 A mix between the Formulate Snake and the Formulate Curl, the Slant provides a great alternative to regular banners.